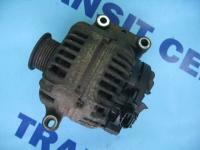 Ford Transit MK6 electrical system and ignition, there are parts like engine ECU and starter motor. 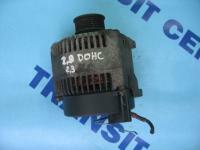 Ford Transit MK6 electrical system and ignition, there are parts like engine ECU and starter motor. Moreover, if you look for the subassemblies like for instance, the alternator, the automatic transmission computer or the dashboard cable – just visit our website, we guarantee the availability of this products. The sixth generation of this popular Transit is really a completely new design developed largely from scratch, produced by some time in Turkey and the Great Britain. The largest sale was in the Europe. What is more, in 2001 Ford Transit won the prestigious title ‘Van of the Year’, and that testify to great popularity and reliability of this vehicle. The good technical condition a.o. of the electrical system is really necessary. In our online offer you can find the elements, such as the alternator, the ignition coil, the automatic transmission computer or the engine ecu. Some companies try to avoid situations in which the car is in the workshop waiting for the importing parts and order some products in advance. If a searching product is currently missing please contact with us by email to make an individual order. The shipping cost depends on size of a commodity.